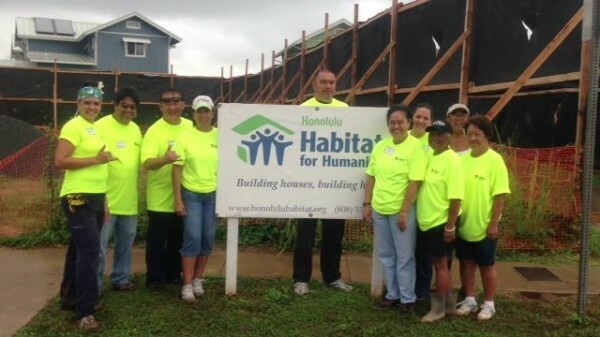 DHHL joined Kumuhau Hawaiian homesteaders and a team of over 60 volunteers for Honolulu Habitat for Humanity’s Build-A-Thon today in Waimānalo, Oʻahu. 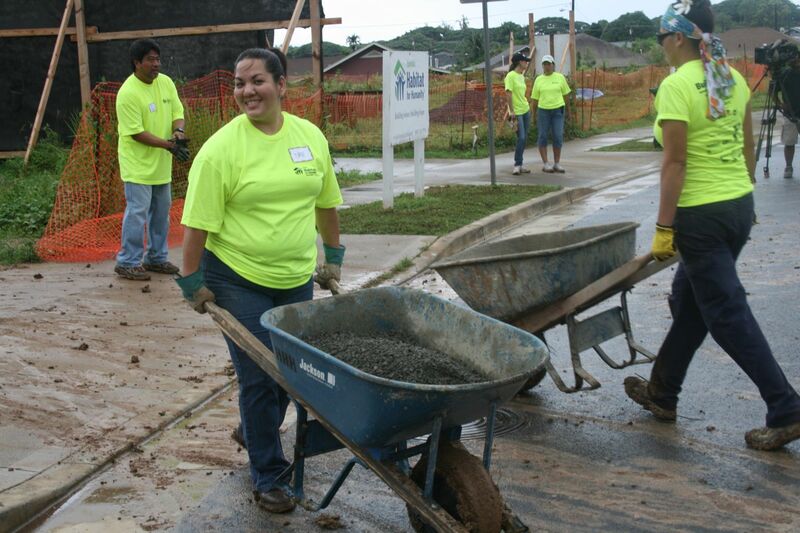 Build-A-Thon is Habitat for Humanity’s annual, statewide fundraiser that helps generate funds for their work and raise awareness of the critical need for affordable housing for low-income families. 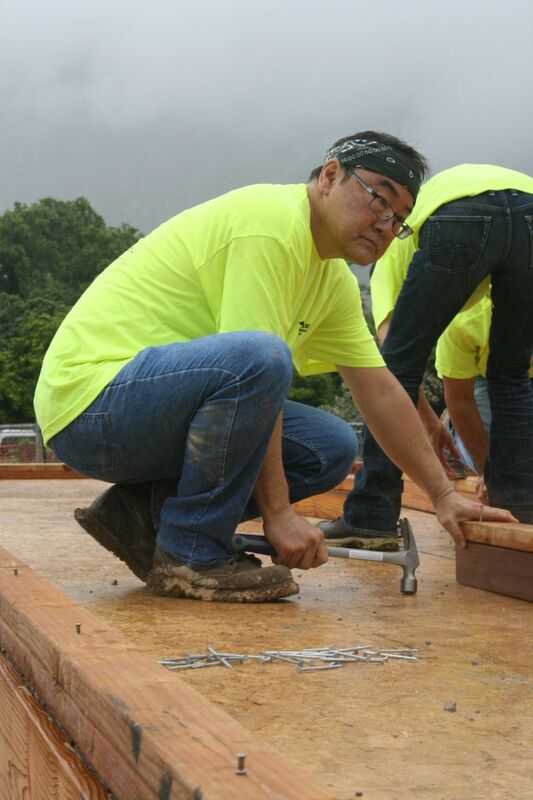 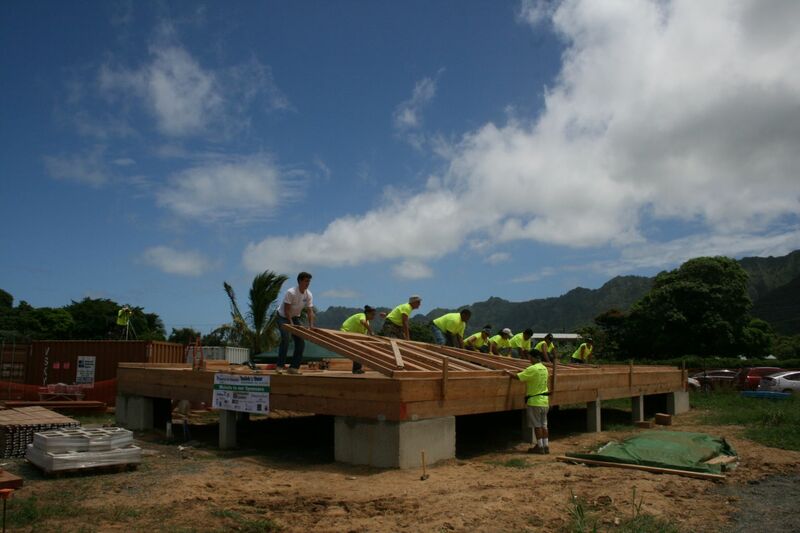 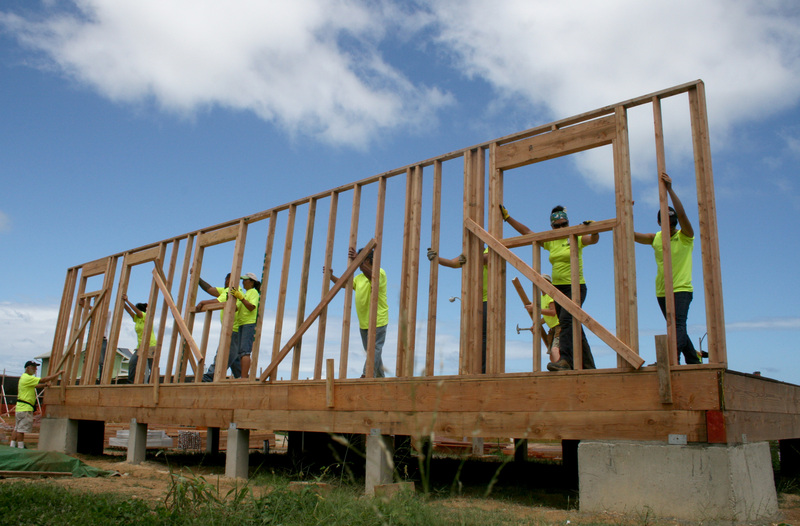 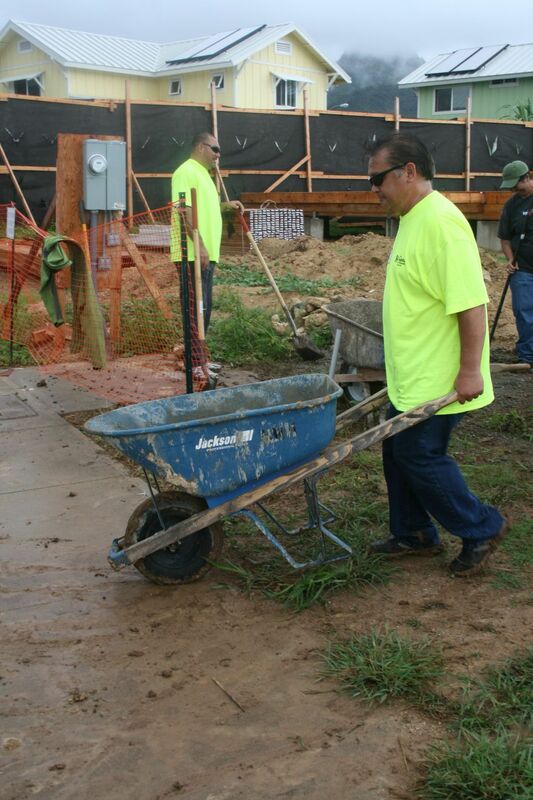 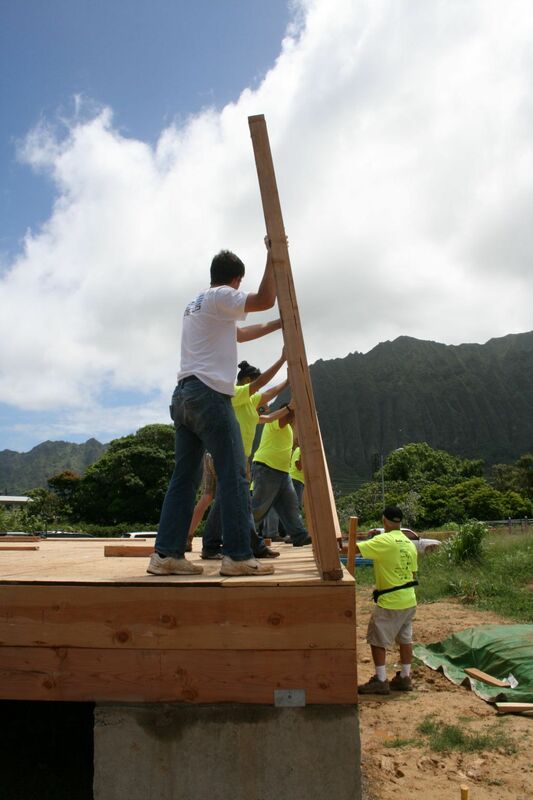 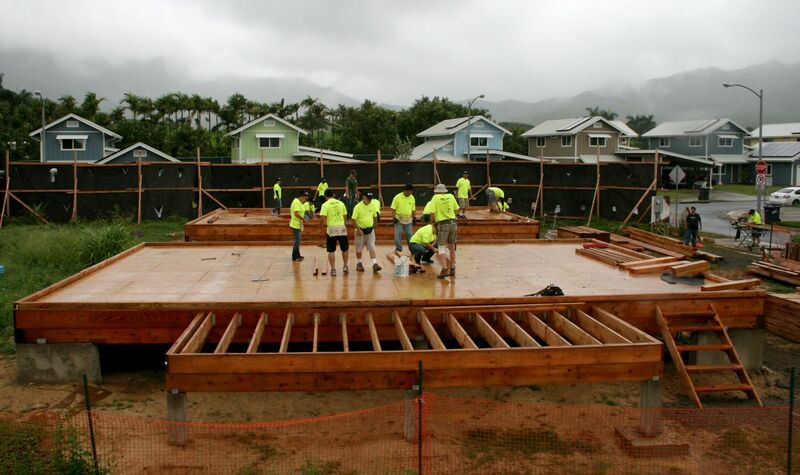 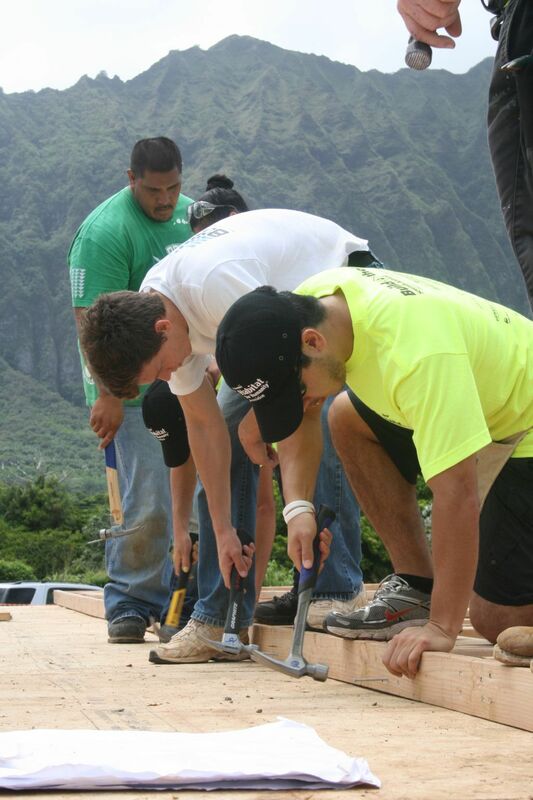 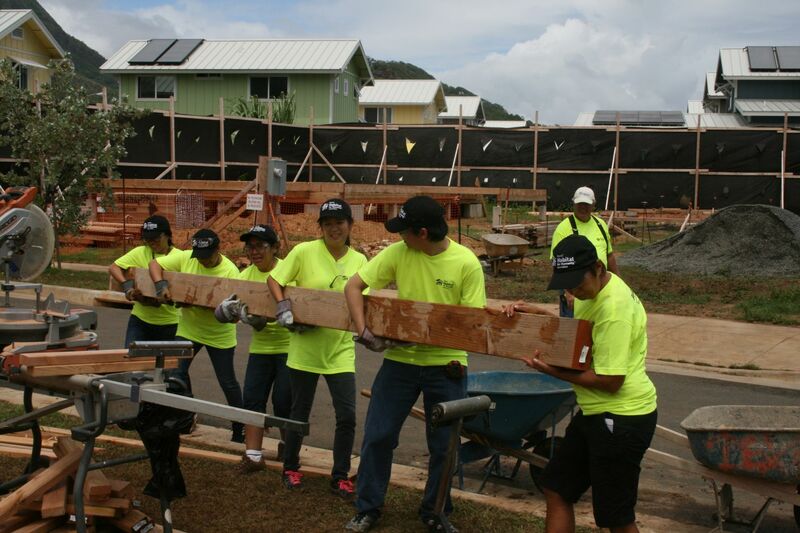 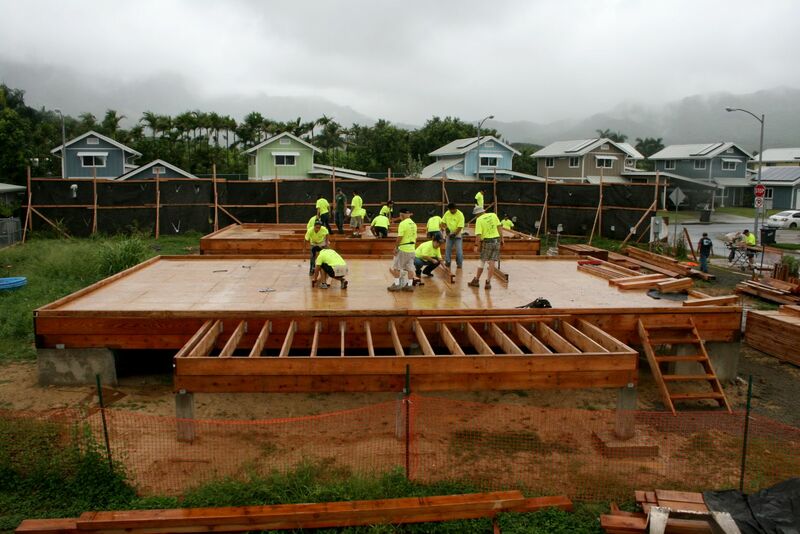 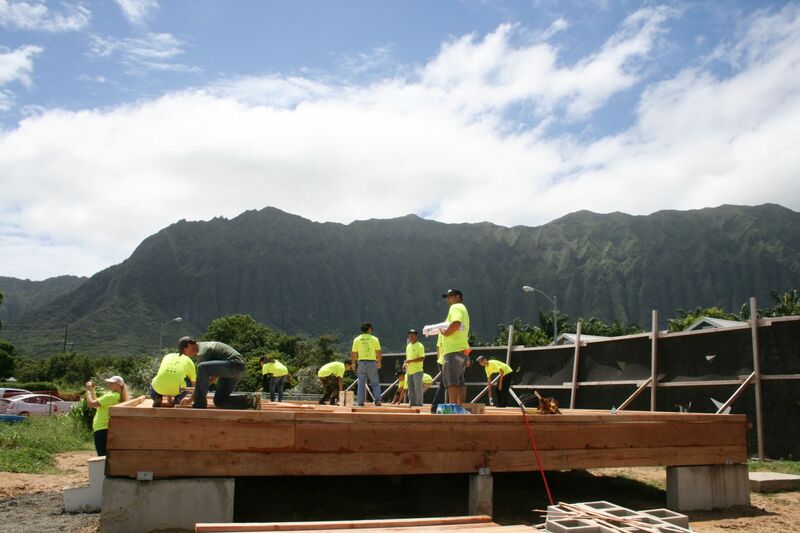 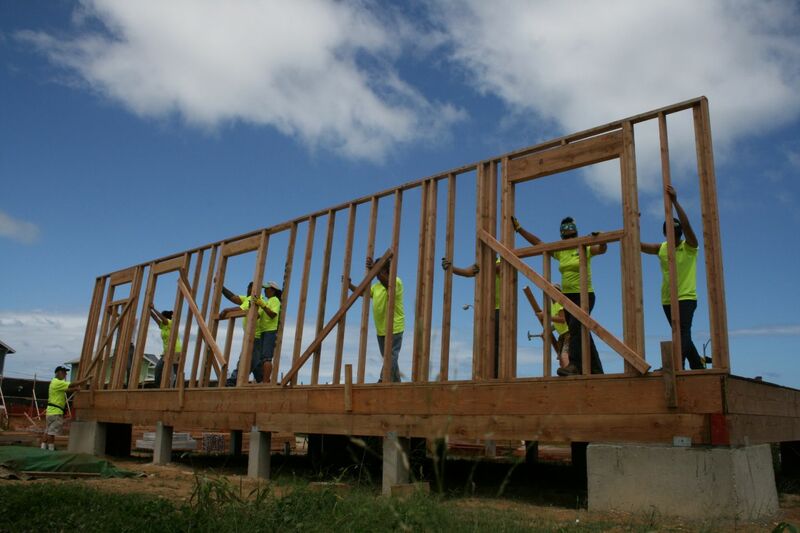 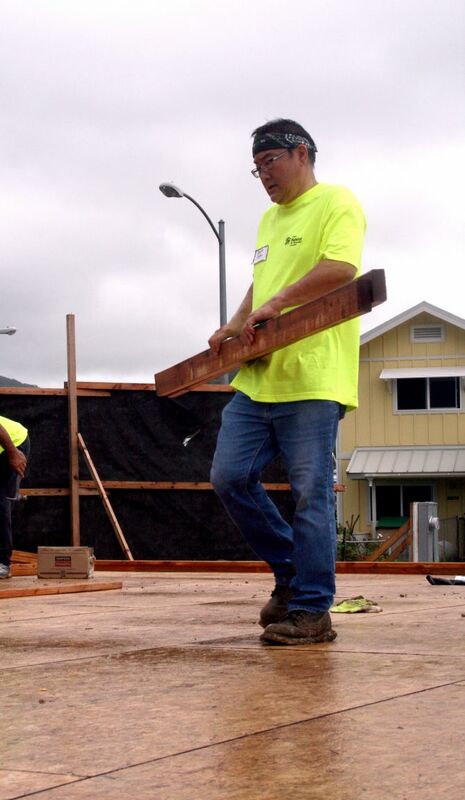 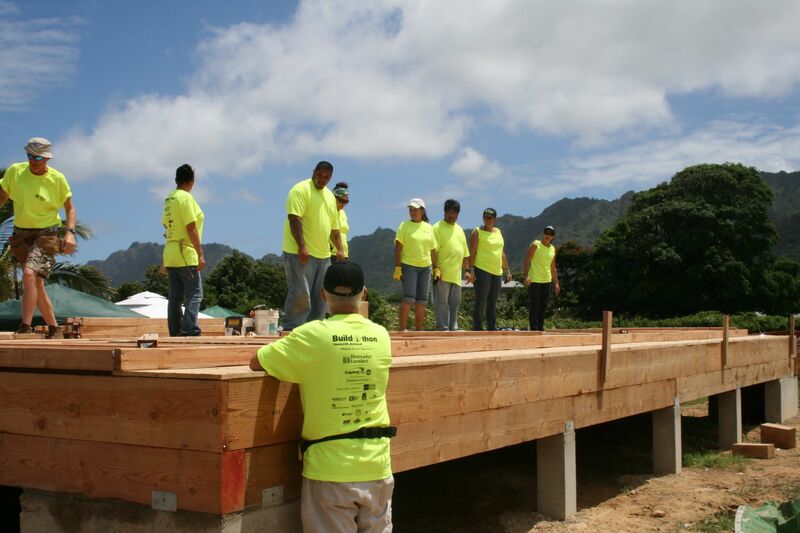 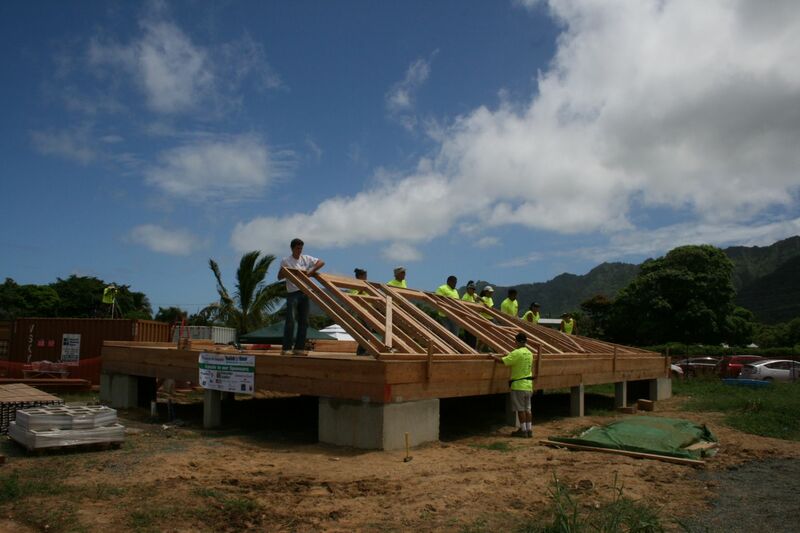 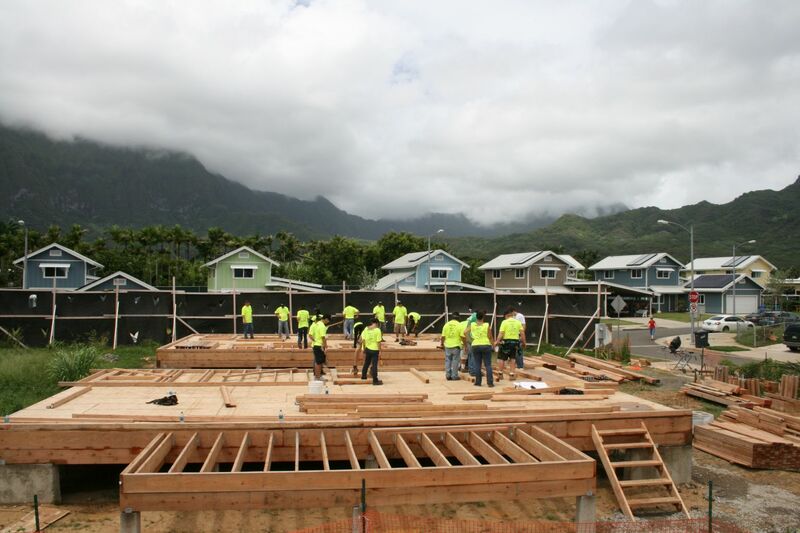 Hawaiian Homes Commission Chair Jobie Masagatani and her leadership team helped erect frames on two homes in the Kumuhau Hawaiian Homestead subdivision. 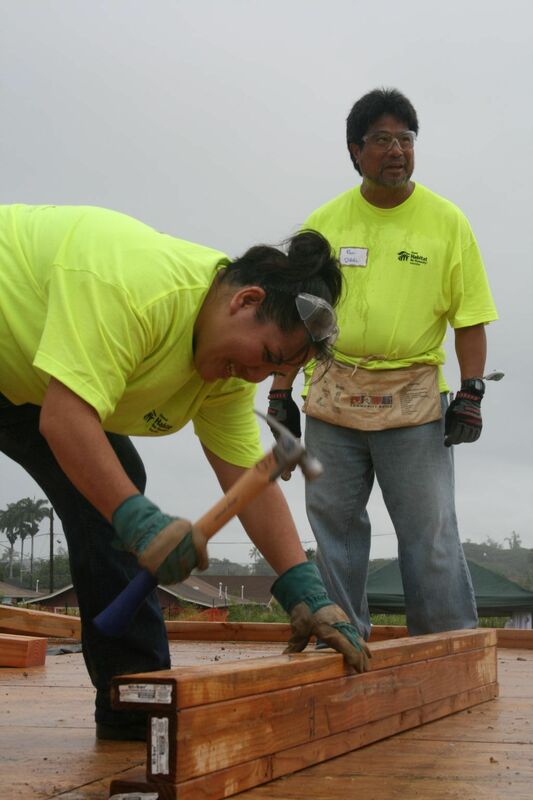 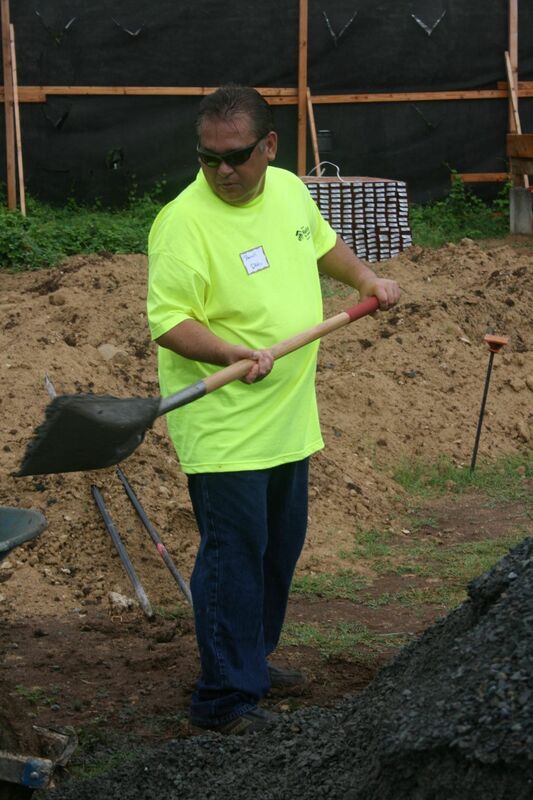 “It’s occasions like this and stories like Levi’s and TJ’s which remind us how privileged we are to lead a state agency like the Department of Hawaiian Home Lands where you can tuly see the positive impacts our small agency makes in the lives of our beneficiaries and their families,” said DHHL Director Jobie Masagatani. 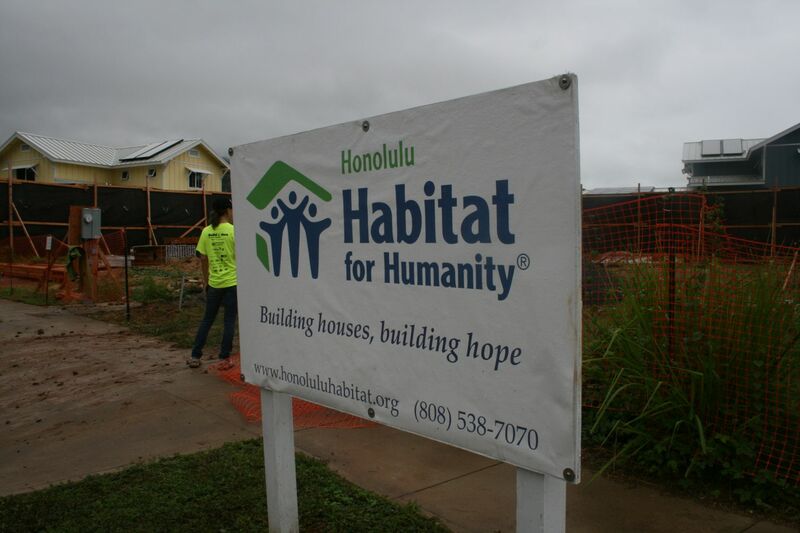 Habit for Humanity Hawaiʻi has been a long-time partner of DHHL, helping bring down the price point of homes our beneficiaries.